Can a Dog Truly Be Man's Best Friend? Life lesson: a best friend doesn't come around too often. I mean, sure we have friends who come and go plenty throughout our lives, but I'm talking about that one friend you should be so lucky to find. One you can trust with your secrets, your life, and one who you know will always be there to cheer you up when needed. For some people, that best friend is their dog. That brings me to my question; can a dog truly be man's best friend? I have never in my life met a dog who was not forgiving. So far man's best friend is looking pretty darn good! As you can see, your dog will share a lot of things that you look for in a bestie. But what about the fun aspect? How awesome is it when you have girls or guys night out? You go out, have fun, play some pool, maybe have a few drinks. Just getting out of the house with a friend can make all of your troubles go away for that moment. Do we lack that in a dogs friendship? So is it valid to say my dog is my best friend? I believe the answer is yes. Dogs have an amazing gift. They are able to pick up on our emotions. If we are sad, they are sad for us, and want to cheer us up. They can read our emotions as well as our behavior. Just the same as we can read theirs. Because of that, we as humans are able to form such an incredible bond with our dogs, that yes, your dog can certainly be your best friend. 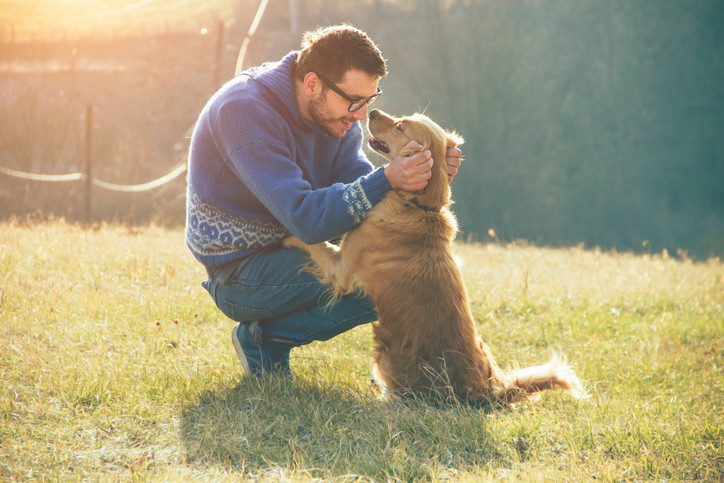 Do you consider your dog to be your best friend?